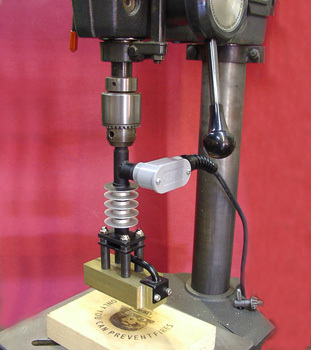 Branding in your drill press makes branding easier, faster and more consistant. From 250 - 1000 watts and branding die sizes up to 20 square inches. Use with logo and/or lettering dies. Custom drill press branding irons also available!